Working on the kitchen has resulted in a lot of trial and error. I had a very specific vision for what I wanted it to look like, but figuring out what materials would actually get me there was not easy. After a lot of wandering and musing, I finally found the perfect kitchen sink. I am not even kidding when I tell you this is version #3 of the sink – version 1 was made out of wood, but I was unable to get the shape I was looking for with the materials I had. Version 2 was attempted out of poly clay in several different forms before i realized it wasn’t giving me what I wanted, and baking it was going to be a nightmare! 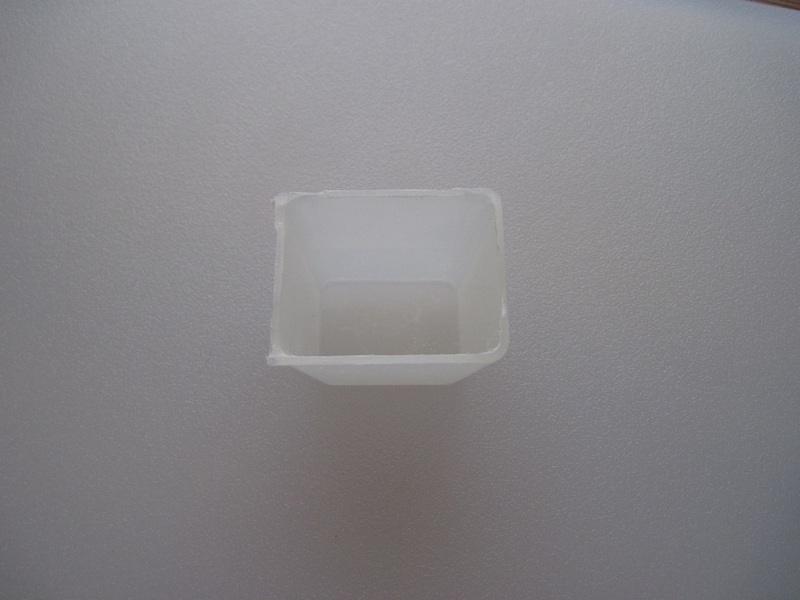 So, on to version 3 – a chopped up full-size ice cube tray! I know, it’s hard to really see. 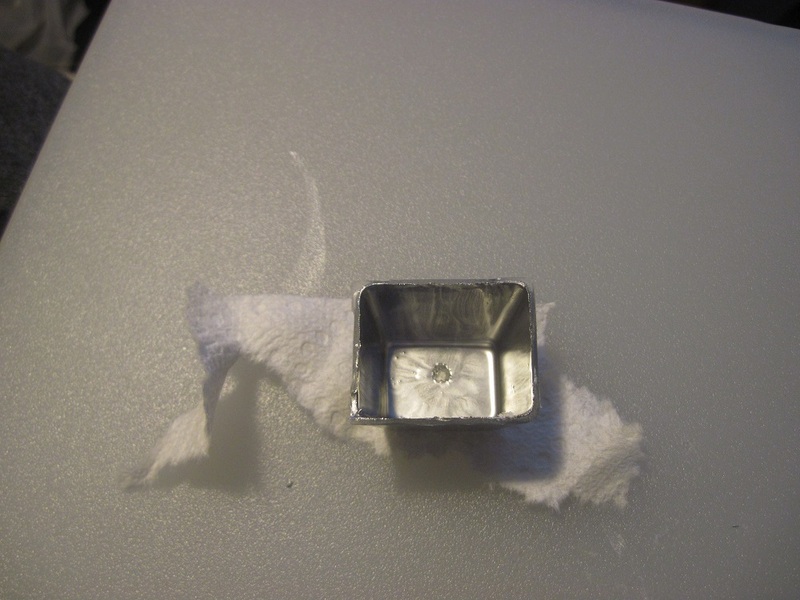 I was working with poor lighting and a white ice cube compartment on a white cutting board – my bad. It wasn’t until I was done when I realized I should have had a different background, paper or something, to better display what I was doing. Ah well. 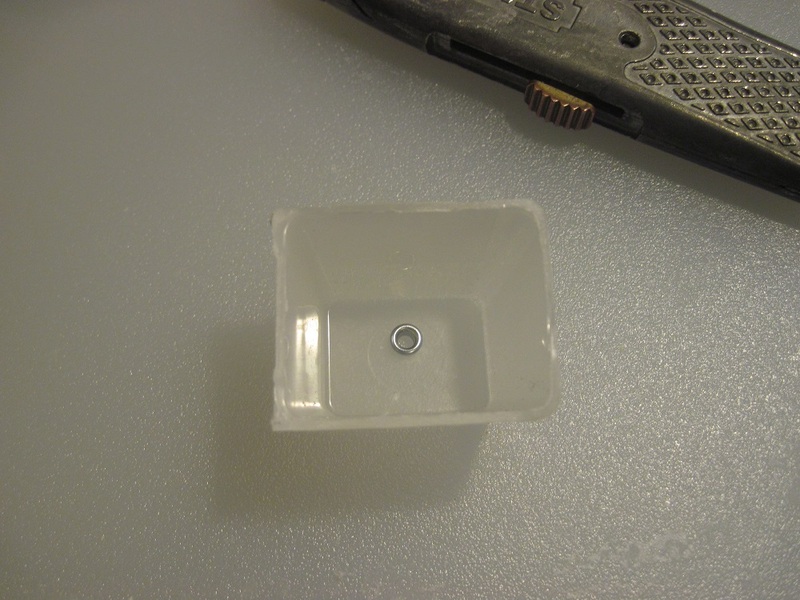 I carefully cut out this one cube compartment from an old ice cube tray we had lying around. I’m pretty sure it was actually left behind by the previous tenant in our rental home – talk about repurposed freecycling! After I cut it, I sanded down the edges to make sure they were even and slightly rounded. This is going to be mounted under the countertop, so it needs to be able to be flush. Once that was finished, 3 coats of silver enamel paint, and it’s nearly ready! The paint job is sadly not the cleanest, but I’m considering a 4th coat tomorrow. Additionally, with the placement of the sink, I don’t think it will be too terribly noticeable – we shall see! It looks so good! I’d never guess what it was made of.